Thousands of mourners of many faiths attended Wednesday's funeral for Nabra Hassanen, the 17-year-old Virginia high school student was murdered over the weekend as she walked with a group of friends to a mosque. Meagan Fitzgerald reports. Family and friends attended a funeral service Wednesday for the teenage girl who was brutally beaten as she walked back to her Northern Virginia mosque last weekend. About 5,000 mourners left their cars as traffic overflowed and walked more than a mile to reach Wednesday's funeral for 17-year-old Nabra Hassanen whose beating death has some in her community fearing for their safety. “It's a pain that I don't think any of us would be able to describe,” said Hurunnessa Fariad, spokeswoman for the All Dulles Area Muslim Society (ADAMS). "It's a really hard time for the people here," family supporter Abdul Hussein said. "This could have happened to anyone, male or female." Hassanen was remembered as a shining example of kindness and openness during the services, where people gathered to show their solidarity. "She was such a beautiful young lady," family friend Moheamed Mukhtar said. Those who knew said they'll remember her bright smile. "There is nothing like losing a child, especially in the way that we lost Nabra," said Imam Mohamed Magid, the religious leader of ADAMS. He said he sought to comfort the victim's mother by telling her that a person who dies is such a manner "will enter paradise, with not any question asked." Police have said Hassanen was returning to the ADAMS mosque with about 15 teenagers early Sunday during a break from Ramadan prayers when a driver approached them and began arguing with one of the boys in the group. Police say the driver chased the group in his car, then got out with a baseball bat and caught up with Hassanen, brutally beating her. Then, police say, he drove off with her in his car, attacked her again and dumped her body in a pond. Twenty-two-year-old Darwin Martinez Torres has been charged with murder. 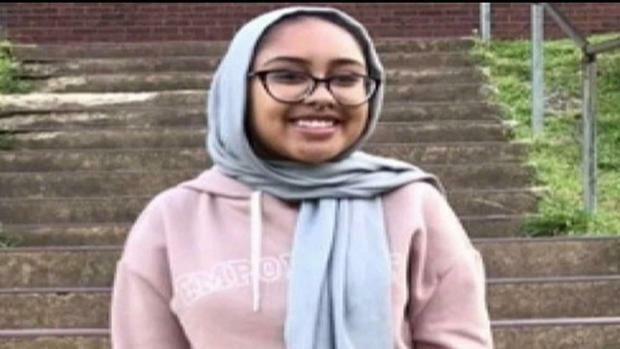 Police on Wednesday said they can't conclusively determine whether Nabra Hassanen was sexually assaulted until the medical examiner's office completes its investigation, News4's Meagan Fitzgerald reported. 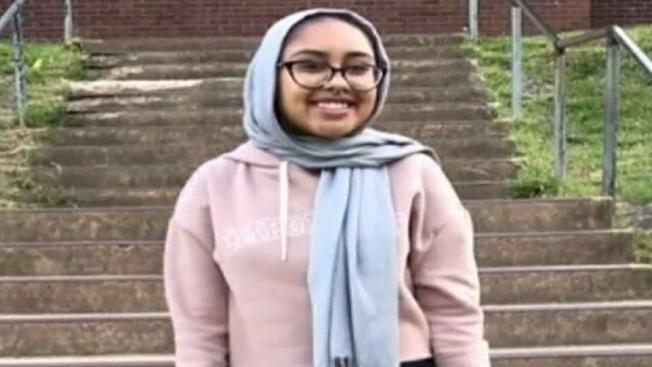 Police have said they believe Hassanen was a victim of road rage, not a hate crime, but Fairfax County Commonwealth's Attorney Raymond Morrogh said prosecutors have not ruled out any motive. Fairfax County will prosecute the case. The top prosecutor in the case of Nabra Hassanen's death said every motive is still on the table and that it's too early to limit to just road rage. News4's Jackie Bensen reports. "Because she is a Muslim," Mahmoud Hassanen said. "She has Muslim clothes." Others have shared that view on social media. At the funeral, where an overflow area was itself overflowing with mourners, Magid acknowledged that the slaying has people grieving and fearful, but he praised the many people who turned out "in a fever" to search for the teen before police discovered her body Sunday afternoon. "I want to tell you my brothers and sisters in this community: You have to remain strong. You have to remain resilient. We have only each other," the imam said as he stood in front of Hassanen's coffin, covered by a black shroud decorated with quotes from the Quran. A donation page set up to support Hassanen's family has already raised more than $300,000 as of Wednesday morning. Planners of many of the vigils encouraged attendees to bring flowers rather than candles to hold during the vigil.